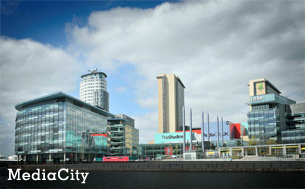 And all of our training takes place in the very heart of Media City UK, now one of the most important broadcast centres in the country, at the state-of-the-art, digital recording studios of the University of Salford. Let us help you become totally savvy, confident and positive with the media scene. Let us give you the most realistic experience possible and provide you with all important feedback, analysis and advice. Contact us now for further details and a price quotation. Alternatively, you can email us us at info@gordonburnspartnership.co.uk.